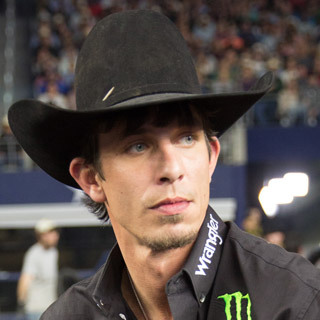 Tying his hand to the back of a 1,800-pound mean-as-hell bovine is just another day at the office for two-time world champion bull rider JB Mauney. His line of work is notorious for nasty wrecks and injury, but JB loves what he does and lives by the words his dad told him at a young age, "You play the game, you take the pain." 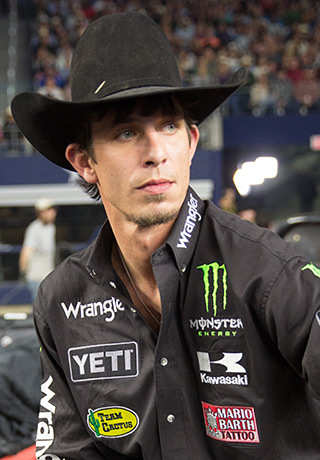 When not at PBR (Professional Bull Riders) events, JB spends his time at his place in Statesville, NC, with his daughter, Bella, and girlfriend, Samantha. What goes through your head when you first wake up in the morning when you rodeo? What am I going to eat for breakfast. Where is your favorite place to rodeo? Las Vegas. Bright lights and big money. I love to be horseback. I would be ranching if I wasn’t riding bulls. For hot or cold drinks, YETI Ramblers are the only cups I use.